A pocket dictionary with vital vocabulary, phrases, and information for travelers. 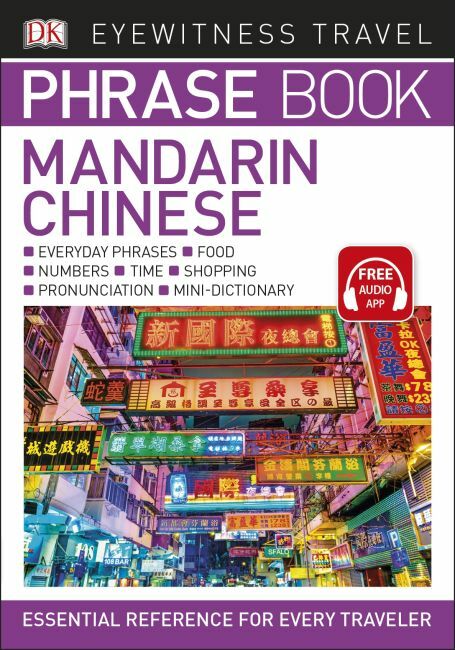 Filled with common Chinese Mandarin phrases and everyday vocabulary, this is an easy-to-transport dictionary that is perfect for vacations or business trips. Eyewitness Travel Phrase Book Chinese is organized by subject, making it is easy to find relevant information including transportation, food, shopping, sports, and health care. Each word has a pronunciation guide to ensure proper communication. From the always useful "What time is it?" question to more complex business vocabulary, this guide has everything you need to communicate in a foreign language. This book also comes with a 2,000-word mini dictionary for quick reference during conversations. Essential packing for travelers, Eyewitness Travel Phrase Book Chinese ensures they will never be at a loss for words.